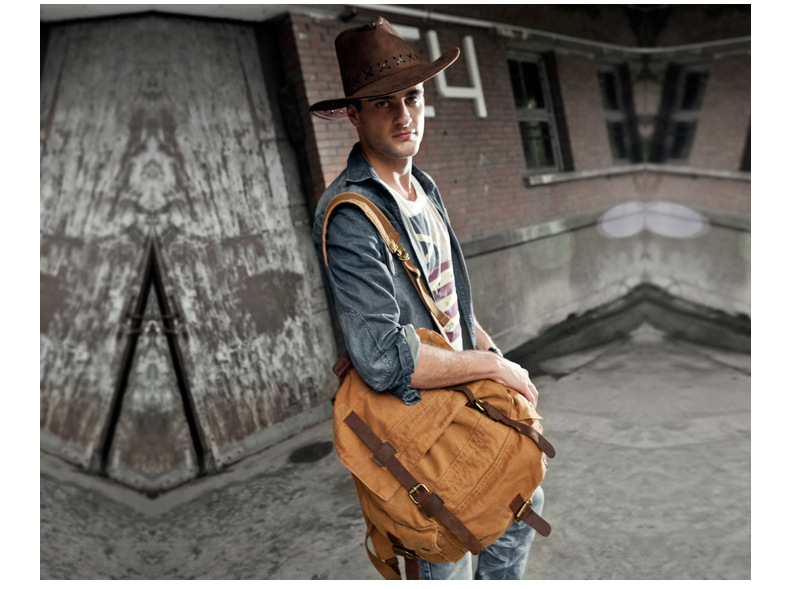 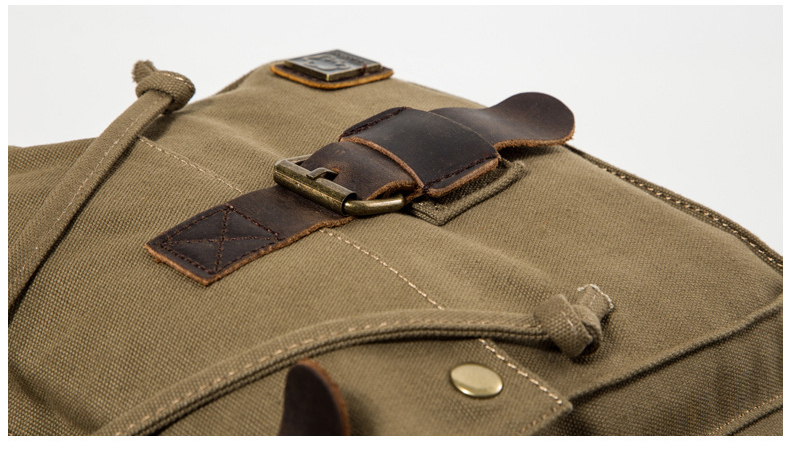 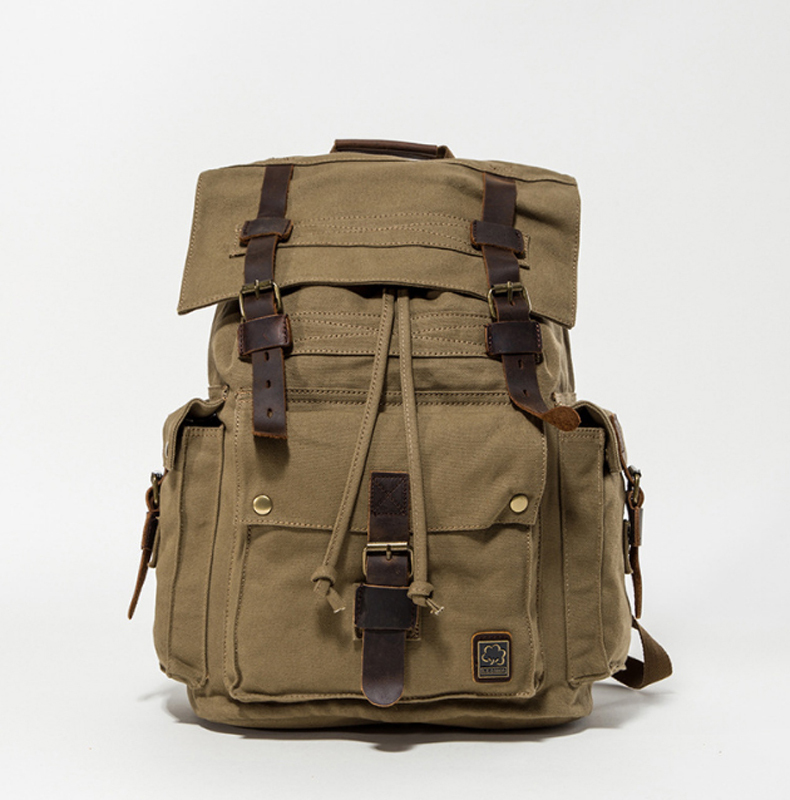 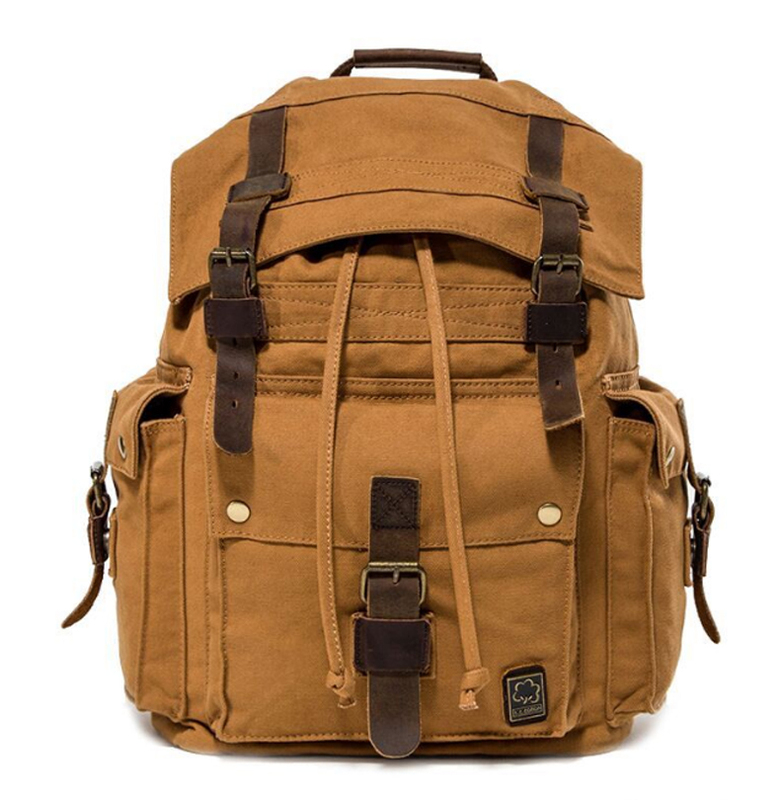 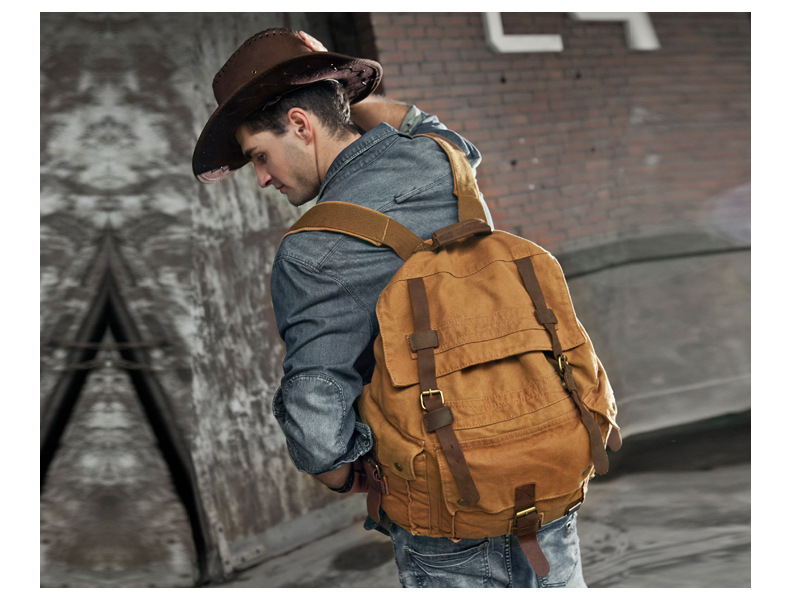 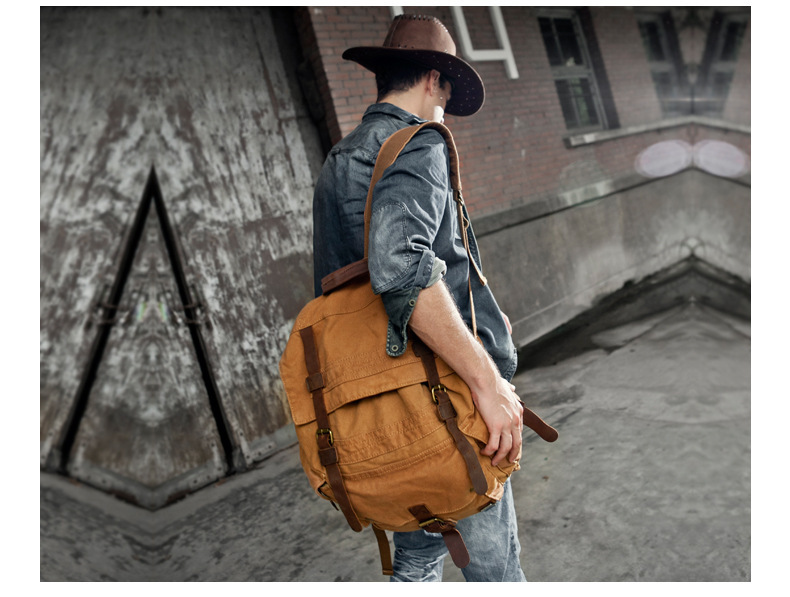 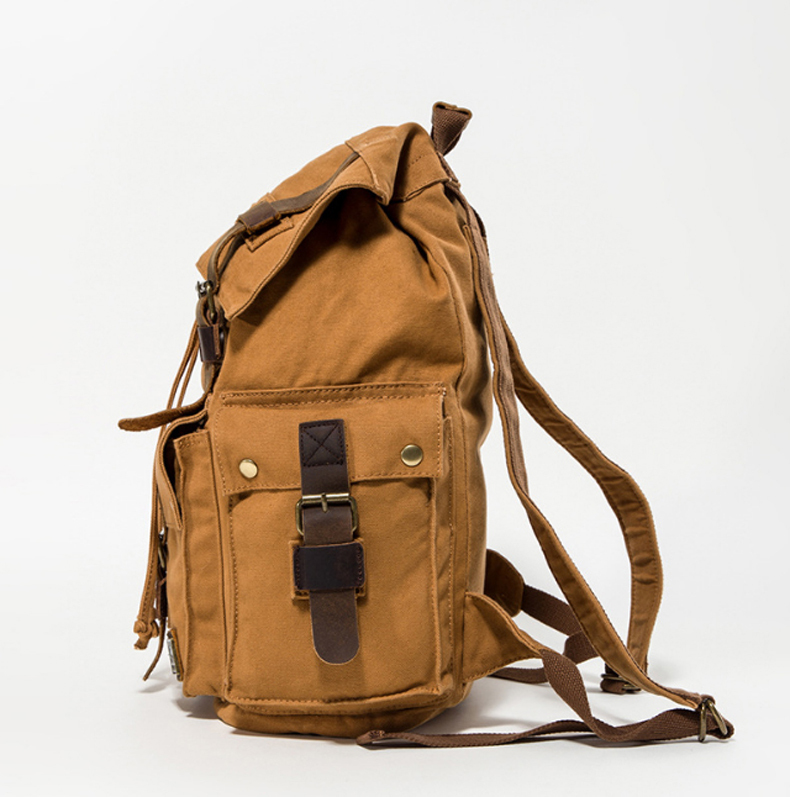 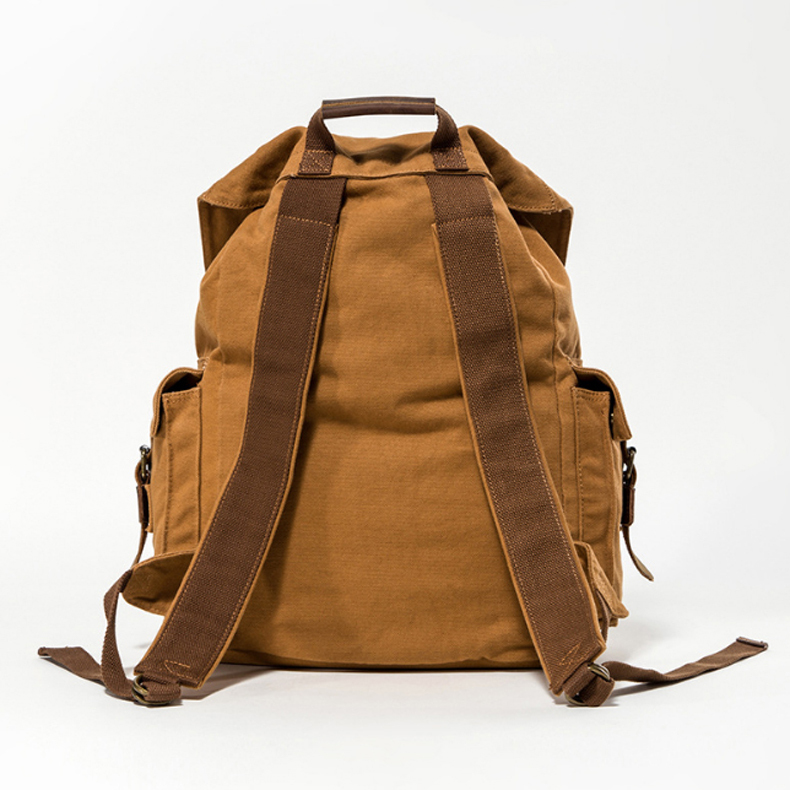 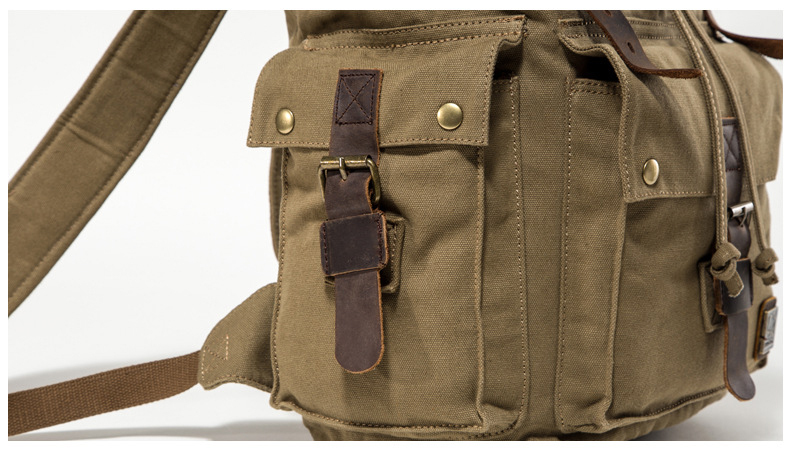 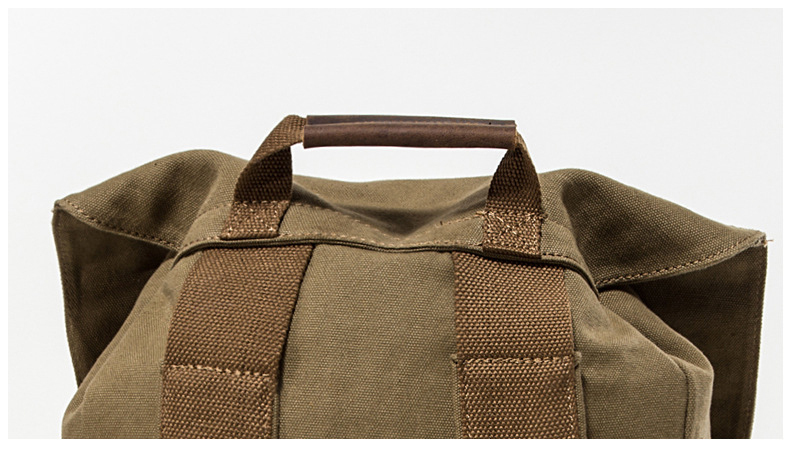 A beautifully made canvas backpack with padded shoulder straps and genuine top-grain leather straps and handle. 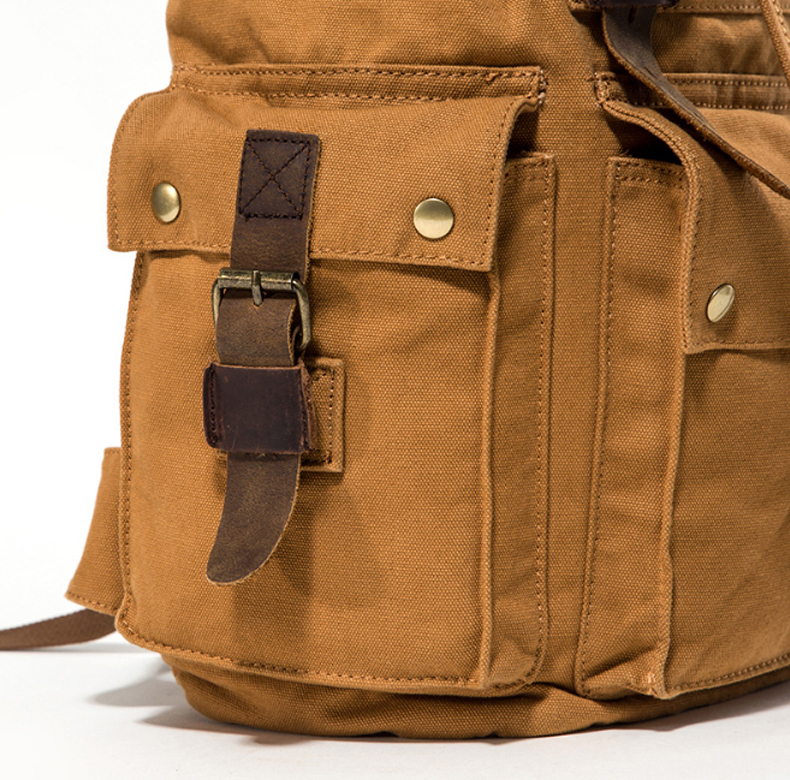 All straps use magnetic clasps for easy access. 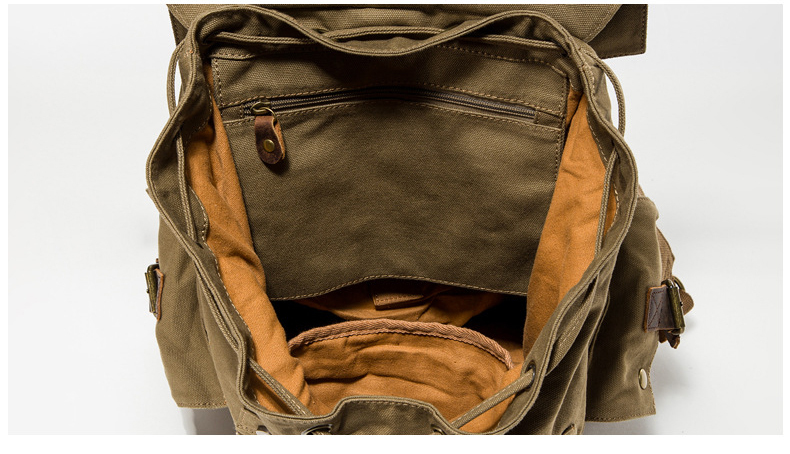 On the outside there are three decent size pockets and inside is fully cotton lined with a large main area and numerous smaller pockets, one of which is ideal for an ipad. 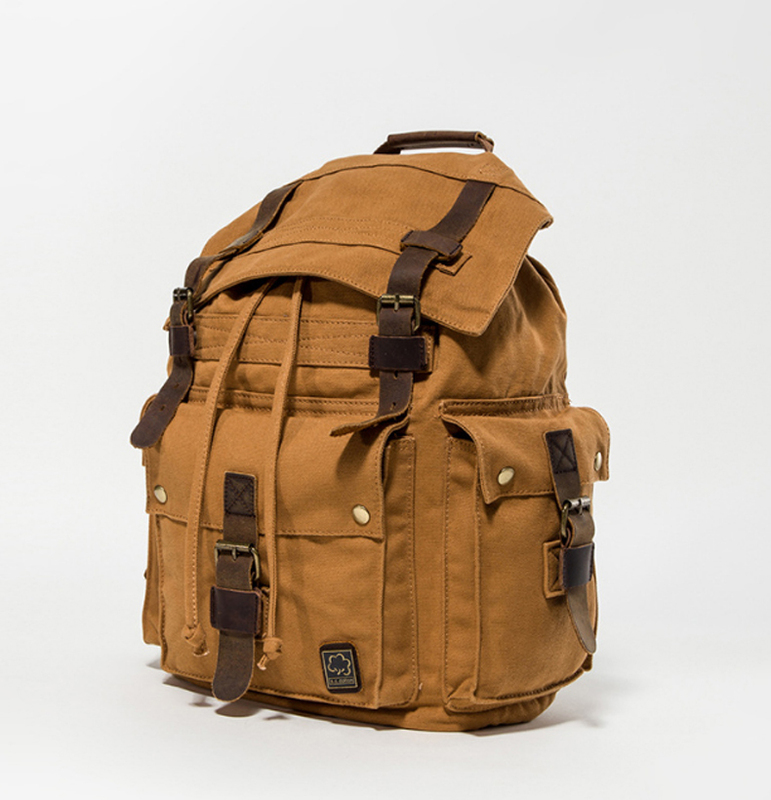 Supplied with a protective padded waterproof insert for a camera and accessories.